Not that long ago, in the glorious days of the big ships sailing unknown oceans in search of adventure and excitement, there were mail ships.Their purpose was, of course, to carry mail across the vast oceans of the world thus connecting folk far and wide. some of these trips lasted several years so obviously news was not new, imagine only finding out about political strife a year down the line? Today that is a foreign concept. We have Facebook and are instantly connected to everything – from frivilous celebrity news up to the minute information regarding the Middle East. lthough progress is ongoing, it is hard to imagine in which direction it will lead humanity. Fax from email certainly would have sounded inexplicable (cue the salem witch hunts) but today it sounds like perfection! Imagine how much better it is to simply stay in one place and send and receive messages than it was to travel great distances on foot or over sullen, stormy swells whilst braving the cruel, relentless elements just to say ‘happy holidays’ or something equally inane. 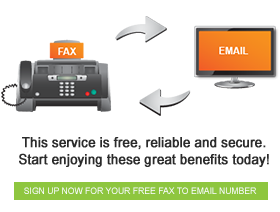 ⇐ What’s the Big Fuss about Sending Fax Online?